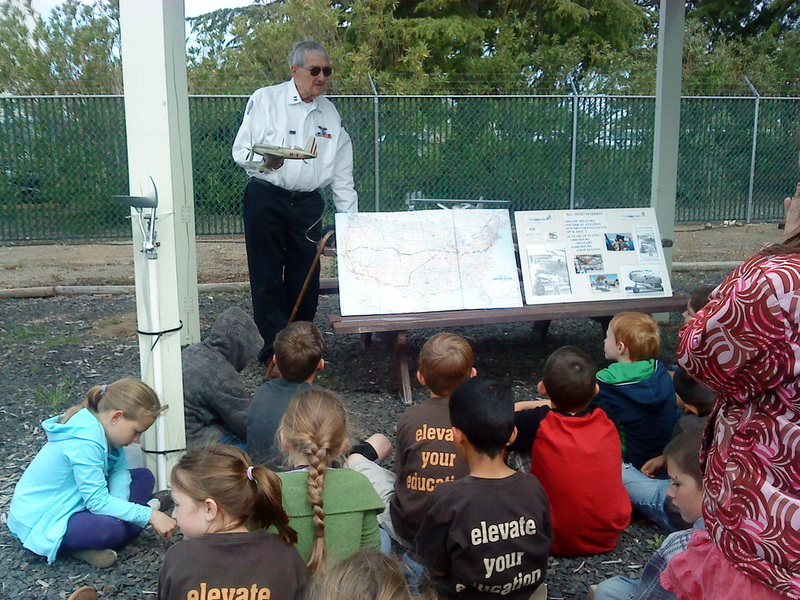 Field trips are an integral part of the curriculum at FRCS. 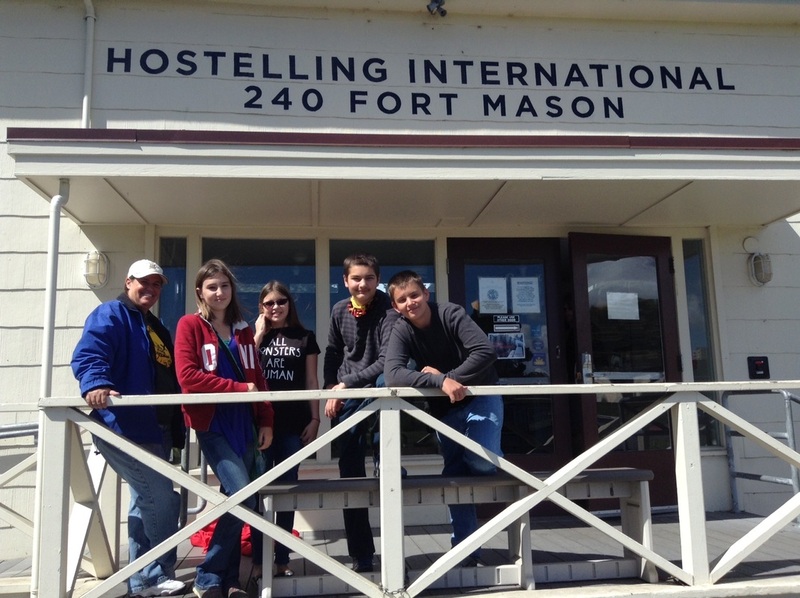 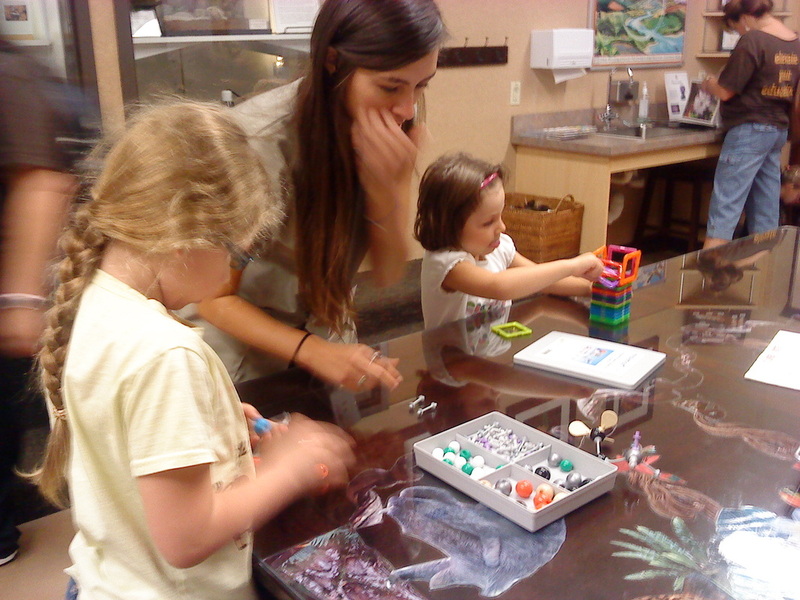 Parent volunteer hours are earned by driving and chaperoning students on these fun-filled adventures. 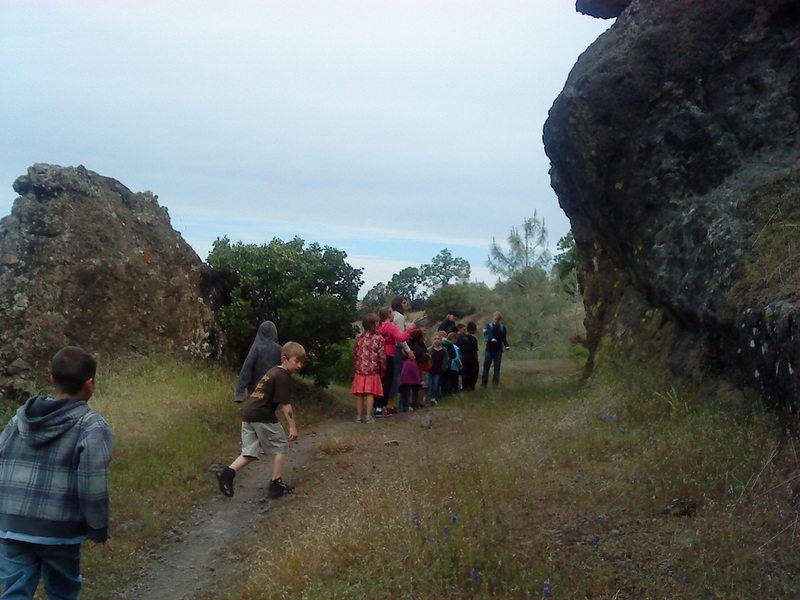 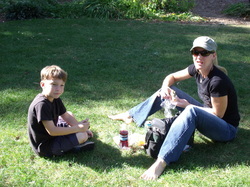 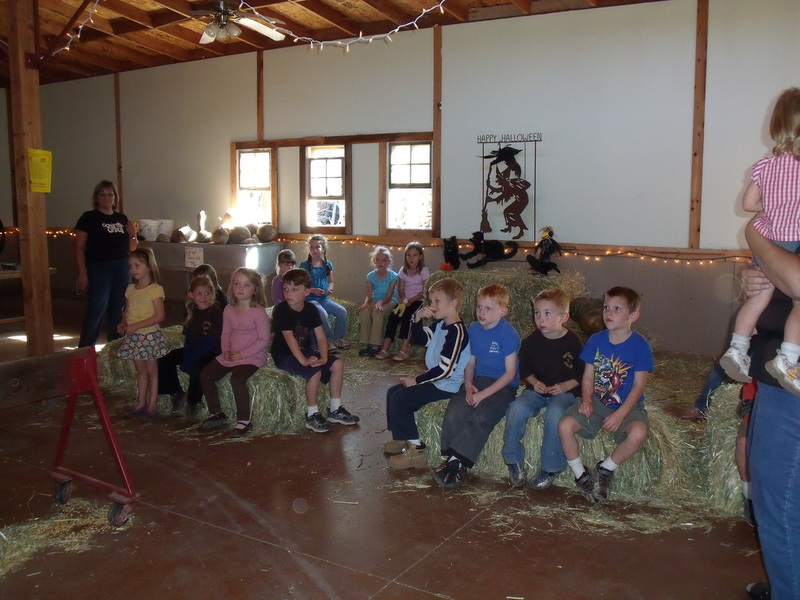 Trips vary from Kindergarten explorations of "downtown" Forest Ranch to overnight trips to Sutter's Fort, Coloma, San Francisco or Shady Creek Outdoor Camp. 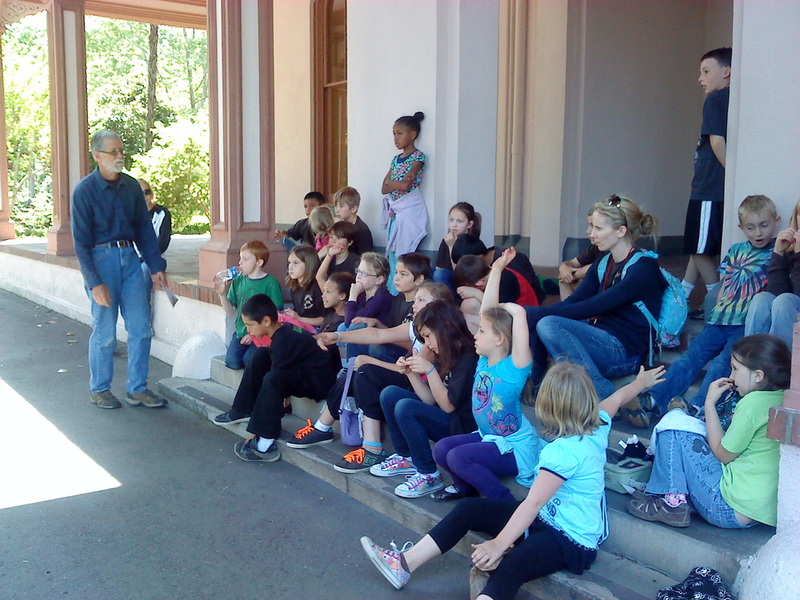 Field trips are funded through donations and fundraising. 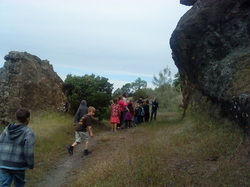 No student is ever turned away from participating in a field trip due to lack of funds. 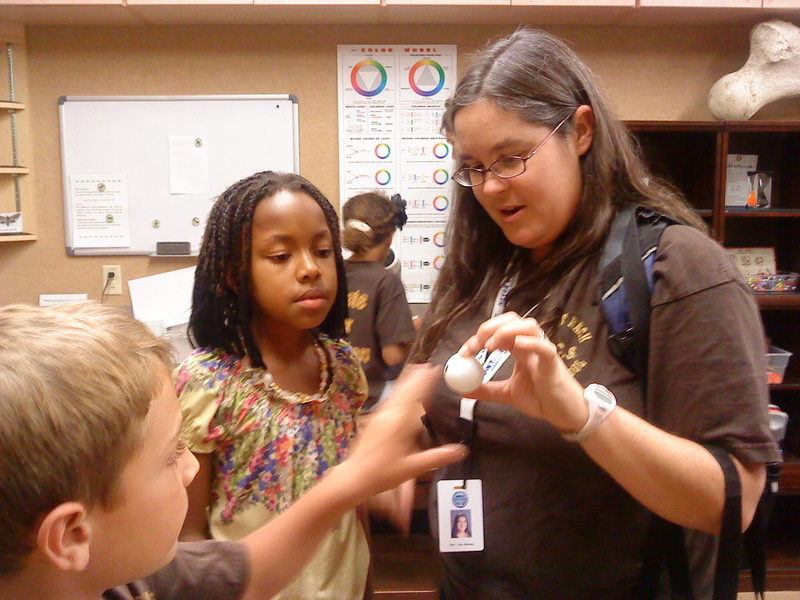 Parents and community members participate in the planning and presentation of many trips, especially the local history and science explorations. 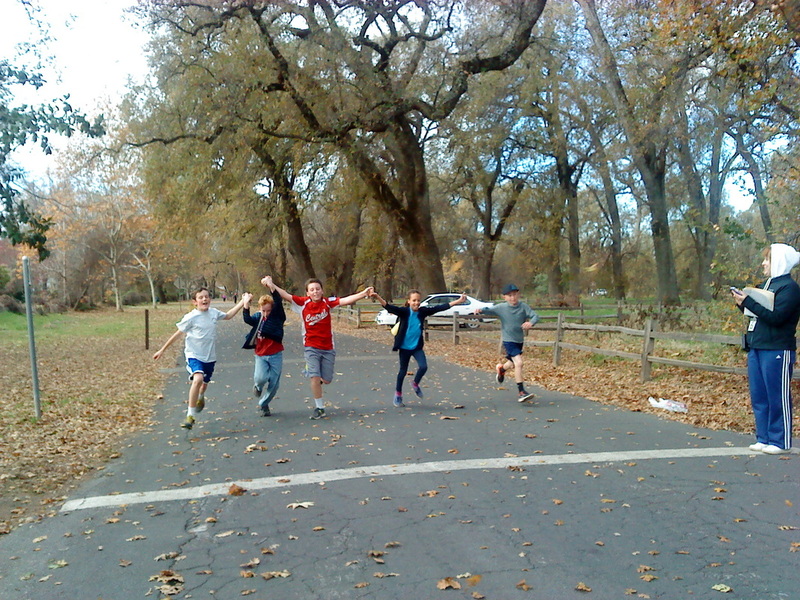 Mrs. DJ's 5th/6th grade class on their 5k run through Bidwell Park (the DJ Dash). The fastest runners crossed the finish line as a team. 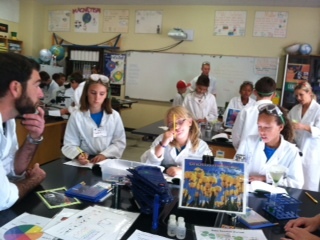 Fifth and sixth graders learn about photosynthesis during a Hands on Lab at CSU, Chico.